Muddy says: Classy Georgian inn on the undulating Somerset/Dorset border with fab food, luxury bedrooms and views of them thar hills. 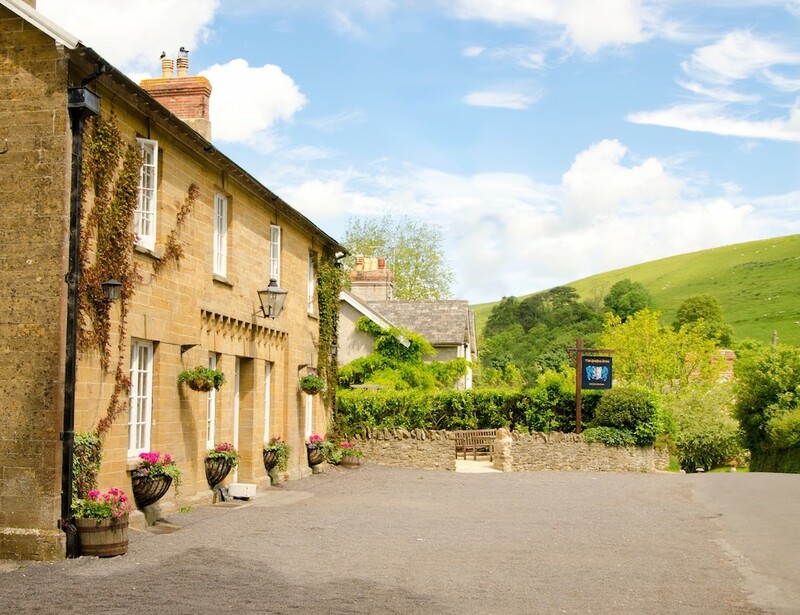 As soon as you step over the threshold, it’s clear that the 5 star Queens Arms, a family-run freehouse on the undulating Somerset/Dorset borders near Sherborne, is no ordinary country pub. For a start, the decor of the Georgian inn exudes class but remains loyal to its rural location. 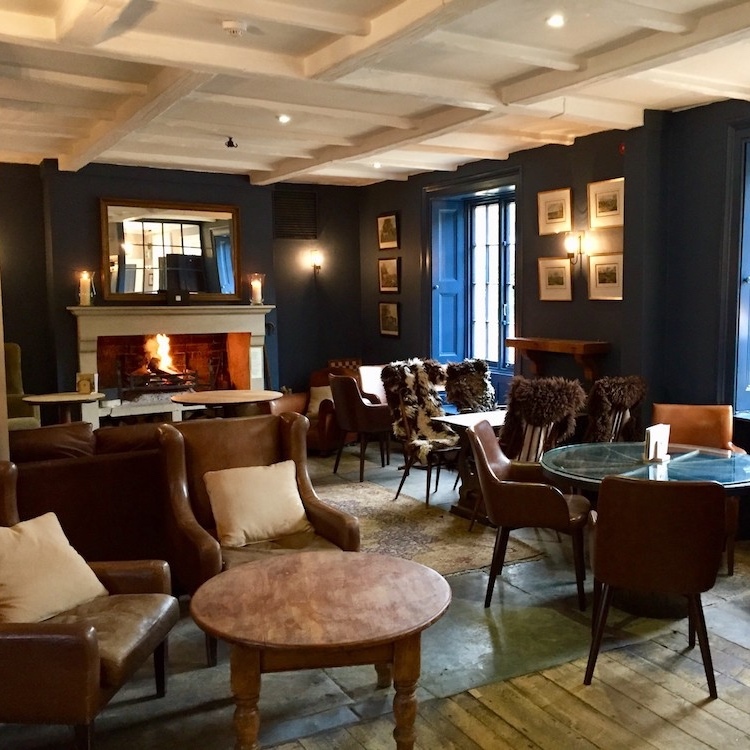 Leather armchairs, a bison head on the wall, faux fur throws, a roaring fire and dining rooms inside; a sunny terrace outside with glorious views of the rolling hills (criss-crossed with lovely walks if you’re so inclined). Then there’s the food. Sourced in metres not miles with their own farm and fresh local fruit and vegetables from a nearby country garden, the menus reflect the seasons and the region. Come and enjoy breakfast, lunch, bar food (their pork pies are legendary), dinner, Saturday brunch (a bottomless one with freely flowing drinks), Sunday lunch and a 7-course taster menu. Accommodation is luxurious. Eight elegant double rooms in the Main House and Coach House (where one of the rooms is dog-friendly) and two Piggery Barns, semi-detached cottages with three beds and three baths. 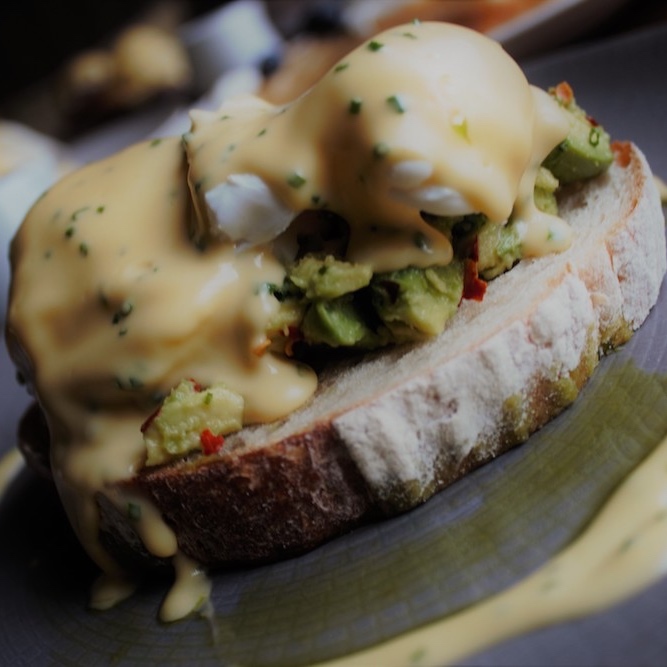 It comes as no surprise that they’ve won a plethora of awards, including a Taste of the West Gold Award, 2 AA rosette, AA Breakfast award, National Best Freehouse and winner of Best Destination Pub in the Muddy Stilettos Awards in 2016 and runner up in 2018. 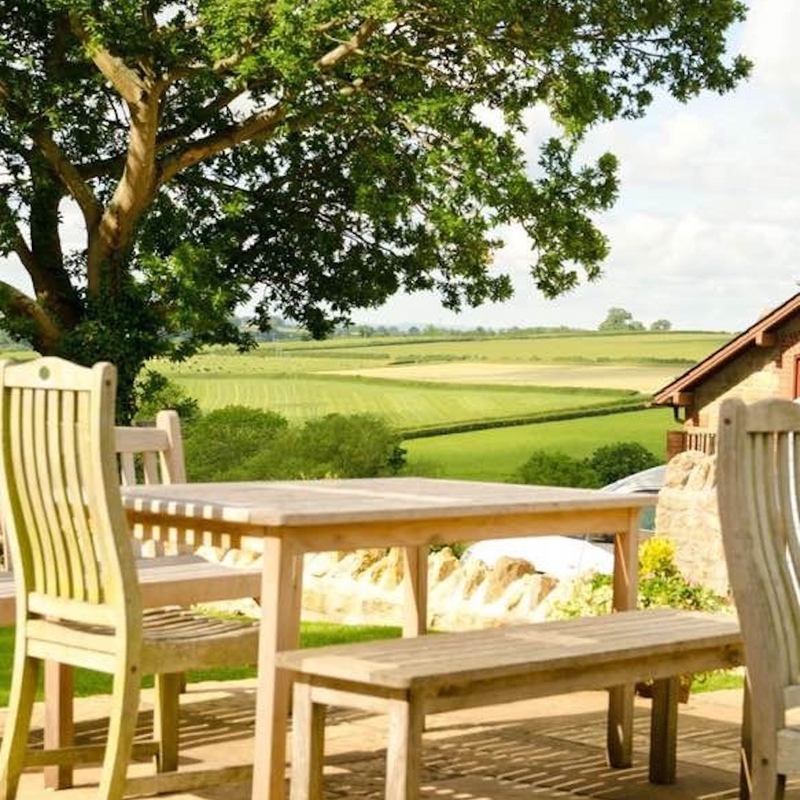 Situated in the tiny village of Corton Denham, less than 10 minutes south of the A303, The Queens Arms makes an ideal stop off between London and Cornwall. If you’re driving electric, Tesla drivers can charge up their motors here too (the only official place to do so en route).